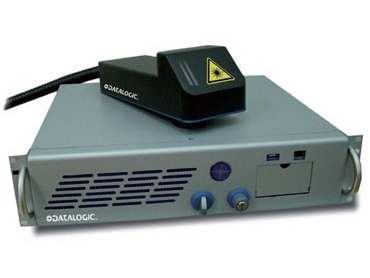 Datalogic Automation presents the AREX family of fibre laser marking systems featuring compact design and advanced technology. AREX fibre laser marking systems enable high speed marking on metal and plastic material, increasing systems productivity in the automotive and electronics industries. The ultra-compact marking head of the AREX family allows easy mechanical installation in the production line or inside machines with space constraints. Measuring 112mm x 298mm x 90mm, the marking head simplifies system design, extending field of use in a wide range of applications from standalone marking solutions to production lines. AREX fibre laser marking systems are designed for low power consumption, and high quality marking precision.